There’s a new multiple source recorder on the block with today’s announcement from Epiphan Systems. Pearl, can stream and record multiple HD sources simultaneously, including 3G- and HD-SDI cameras, at rates of 60 frames per second and resolutions up to 2048×2048. 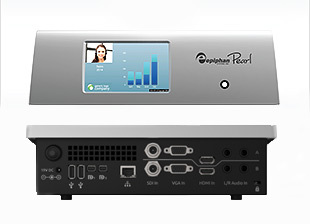 Despite having a delicate name, Pearl takes more of a hard-core stance with its design as a desktop rack or portable rack solution for streaming and recording live a/v content. It not only combines multiple HD AV inputs, it can then add client branding to create a single video layout with output resolution up to 4K. The unit features a front-panel touch-screen controller as well as remote control capability, and it can encode for both RTMP and RTSP streaming, allowing it to be used with leading content distribution networks, such as Akamai, Livestream, Wowza, and YouTube. The unit has a brushed metal finish and is equipped with two inputs each for TRS audio, HDMI/DVI, VGA, and SDI; two USB 2.0 ports; and one Gigabit Ethernet port. For compatibility with commonly-used AV sources, it also supports SAP and UPnP for set-top boxes and media players. For post-production flexibility, it can record the streamed program as well as the original sources. 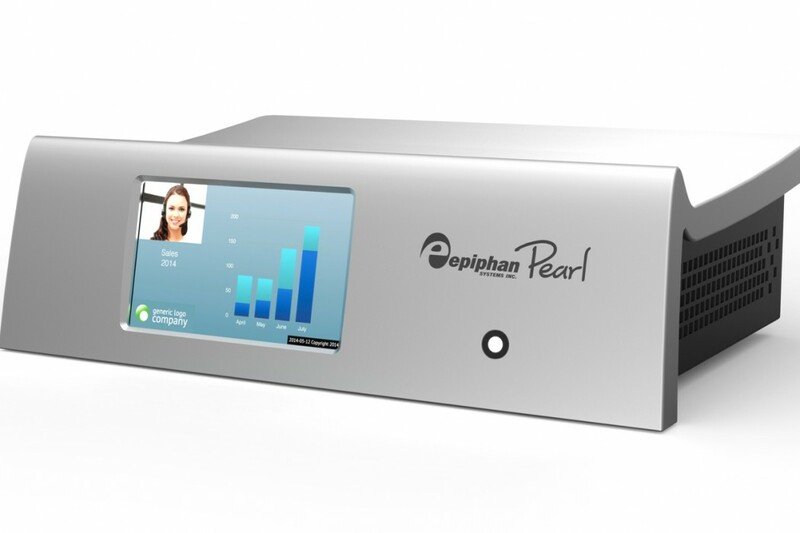 Pearl will begin shipping this month (at time of publication), with a price tag of US$4875. This article was updated on 15/08/2014 to add pricing and feature information. Including a correction to David Kirk’s title of “VP of product management” from the previous title of “vice president of product management”.